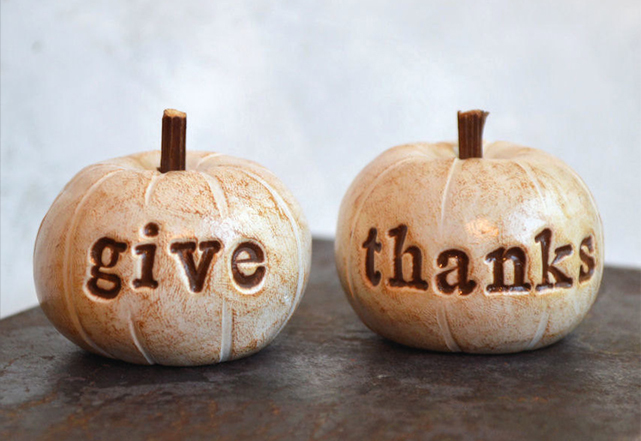 Thanksgiving is almost upon us, and if you don't have the time to make your own decorations and accessories this year, there are tons of great ones for sale on Etsy. (I know because I may or may not be developing an Etsy browsing addiction; there are just so many great handmade things on there!) Here are my five favorites this Thanksgiving. 1. 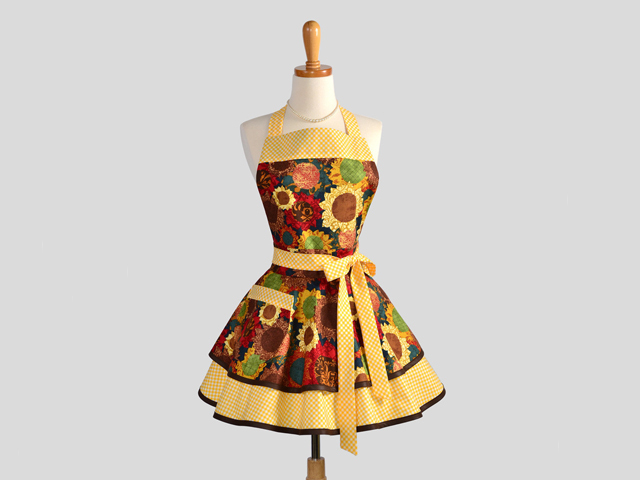 I would absolutely love to whip up a turkey wearing this Ruffled Retro Apron from Creative Chics, wouldn't you? 2. 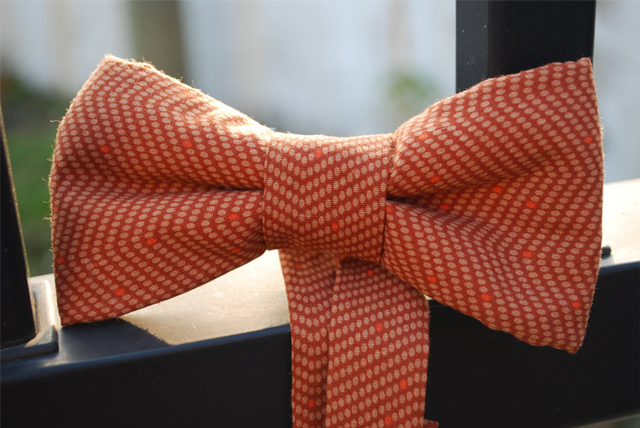 Or you could dress your little boy in this adorable Thanksgiving Bow-Tie from The Director's Cabin. 3. Welcome your guests in style by hanging this Autumn Crochet Wreath from Alice Remembers on your door. 4. 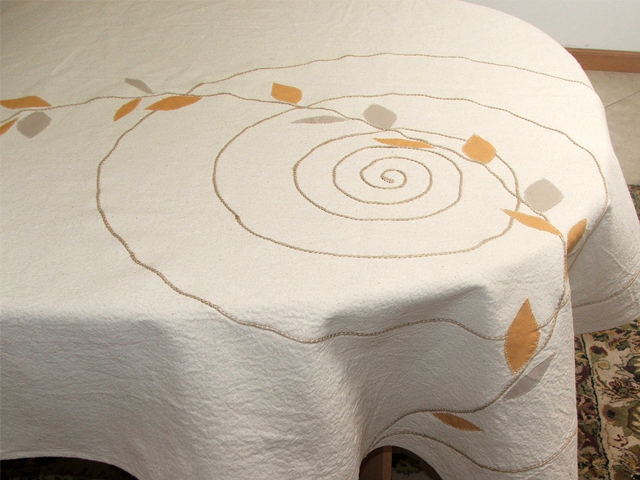 I also love this tablecloth from Danielle's Corner. 5. And wouldn't these clay pumpkins from Skye Art look super cute sitting on your mantle? All of the photos in this post are courtesy of their Etsy shop owners. Aren't they pretty? However you choose to celebrate, I hope you have a very happy Thanksgiving! 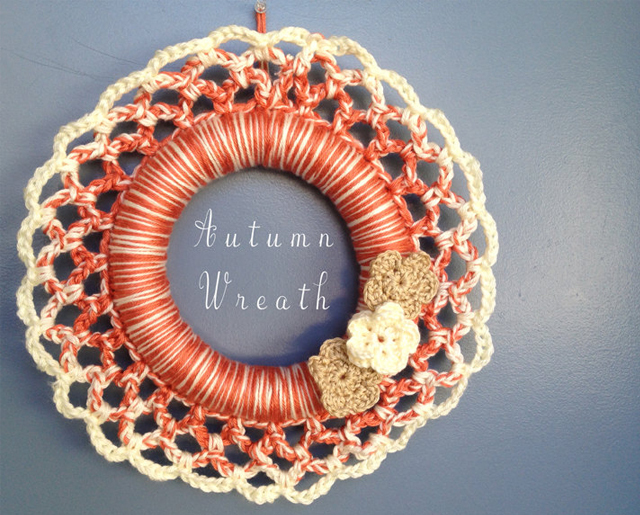 Oh, I just love the fall wreath with the crochet edging.